We have seen him on TV, we have read about him and now we can sample his cuisine right here in Singapore. 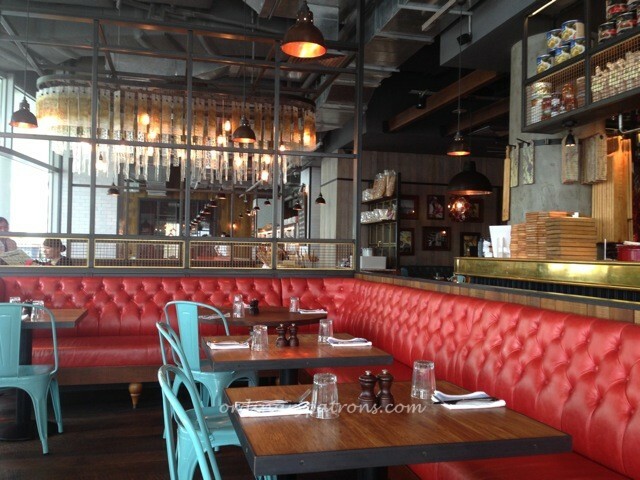 Jamie Oliver’s casual italian restaurant in Vivo city had opened at the end of last year to quite a bit of fanfare. Now that it has had some time to settle in, we were curious to sample the cuisine. 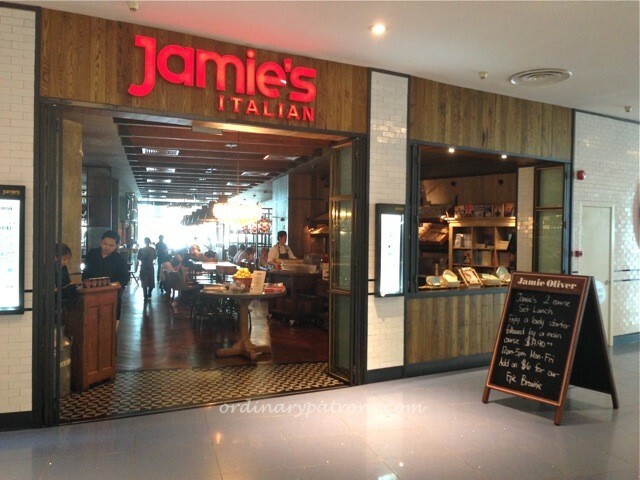 Jamie’s is located on the ground floor of Vivo City. Upon entering the restaurant, you walk through a dark cavernous dining area. On the day that we were there, there were a few corporate looking group lunches taking place. The tables could easily be configured to seat groups of 30 or more. But we recommend you walk right inside to the nicer part of the restaurant where there is natural light and you get a view of Sentosa. The decor was done in a rustic industrial-chic kind of theme. 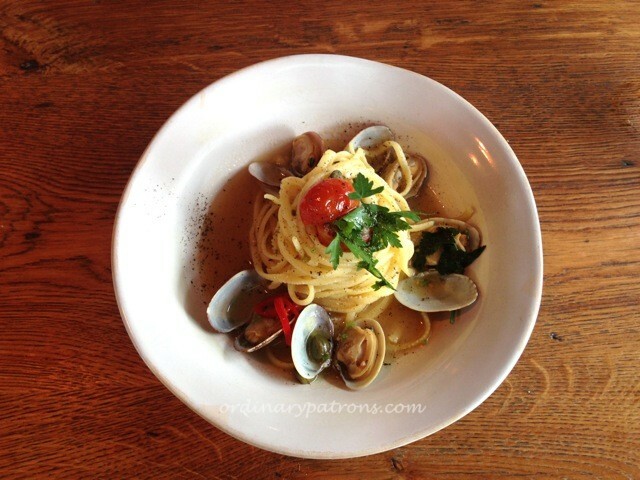 We ordered the two-course set lunch of crab bruschetta and seafood pasta ($17.90) plus a selection of other dishes. 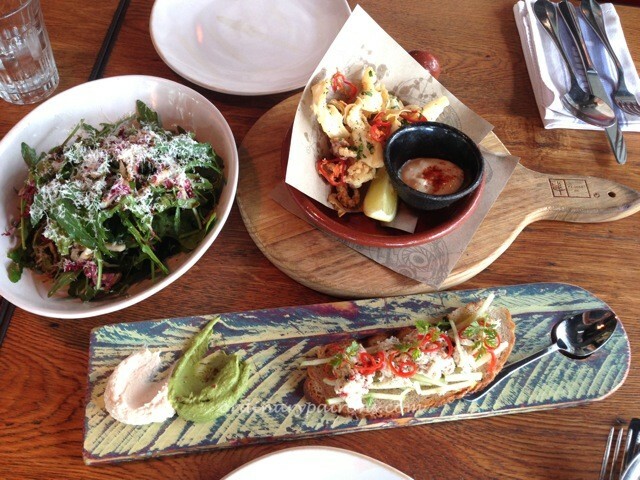 The bruschetta was attractively served on a long thin plank. The crab and the condiments combined well and was delicious with the sauces provided. The seafood pasta however was bland. 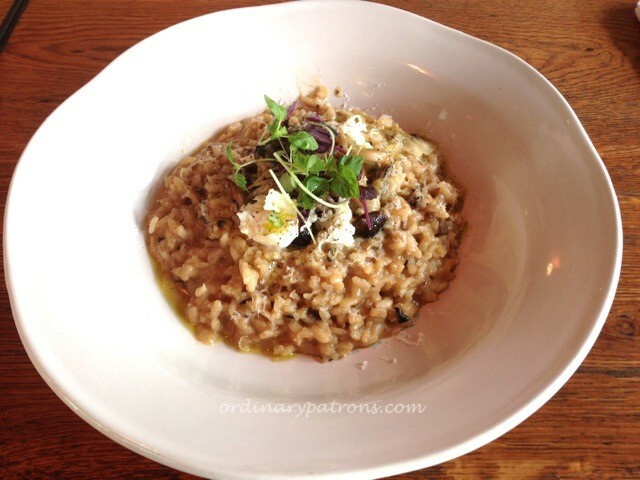 We had the rocket salad ($8), mushroom risotto ($26.50) and crispy squid ($11.50). Other than the squid which was fresh and flavorful, the other two dishes were very ordinary. Where was the Jamie Oliver influence, we wondered? In summary, most of the dishes we tried that day was disappointing. We should also mention that the portions are quite small, so be prepared to order more items than you usually would. Average price per person for lunch – $30.